Ryanair has announced a net profit of €197m £(156m) for its first quarter, a 152% hike on the same period last year, a performance driven in part by a concerted effort to improve its once-combative approach to customer service. The three months ending 30 June also involved the airline investing more into promoting customer service improvements and the launch of new routes. Consequently, "marketing, distribution and other costs" were up 11% year-on-year to €59.6m (£47m). The figures for the quarter are a marked improvement on the €78m (£62m) profit generated in Q1 of 2013, although the airline warned that this year’s figures have been "distorted by a very strong Easter", with no comparable holiday period in the previous year. 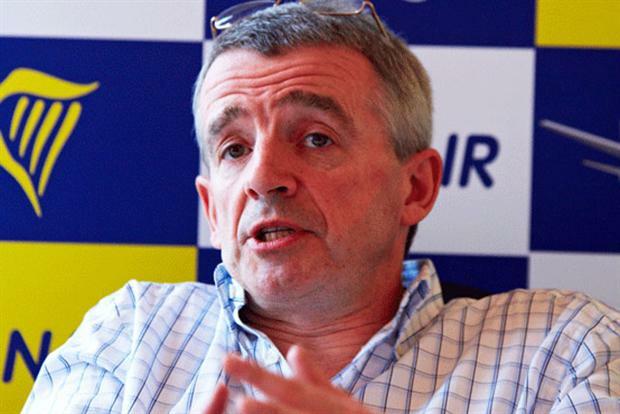 At the heart of Ryanair’s marketing lies its recently launched "Always Getting Better" programme, which chief executive Michael O’Leary flagged up in the quarterly results. He said: "Our ‘Always Getting Better’ programme has delivered significant improvement to the customer experience. In addition to the initiatives launched last September, which included allocated seating, free second carry-on bags, and an easier to use website with a ‘fare finder’ facility, we launched our family product in June." In Q1, Ryanair flew 24.3 million passengers, an increase of 4% on the same period last year, while fares increased by an average 9%. Revenues were up 11% to €1.49bn (£1.18bn) unit costs fell by 2% and 1%,excluding fuel. Looking ahead, Ryanair announced that it is launching a business service in September that will allow same-day flight changes, bigger bag allowances, premium seat allocation and fast-track through airport security. "We will continue this winter to rapidly develop both our website and mobile platform to deliver more innovative features and services in addition to the lowest fares to our customers." Back in May, Ryanair’s marketing chief Kenny Jacobs spoke to Marketing about how its new customer service stance meant it is now a "brand that listens", adding that as CMO he had "the best marketing job in Europe".